About Us - FredCo Accounting Services, Inc. In 2003, Fred Zaytoun realized that there were small business owners that needed assistance managing their accounting records for their business. These small businesses also realized that their time was too valuable to learn the system on their own and even manage their books themselves. After all, their expertise is running their business. Therefore, FredCo Accounting Solutions was born! Fred graduated from East Carolina University with a business degree, concentrating in Accounting. He is very familiar with the day to day of running a small business since he owned and managed a printing business for 13 years. After learning QuickBooks on his own, he realized that he wanted to assist other small business owners in setting up their accounting systems using QuickBooks Financial software. A 13-year Navy Nuclear Submariner, Parker also has 20+ years of experience in Retail Sales & Operations Management. 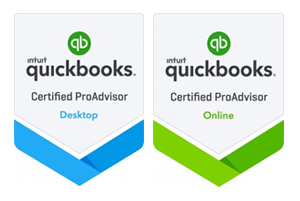 Certified as a Financial Management Specialist while serving in the Navy, and studying Economics at Longwood University, he has recently been certified as a QuickBooks Online Pro Advisor. A natural troubleshooter, Parker places great emphasis on attention to detail while maintaining a commitment to a personal relationship with his clients. His personal passion is in fitness, and proactive education for people to gain control of their personal finances. 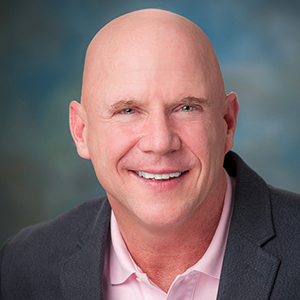 He is based in our Wilmington / Oak Island office to serve the southeast coastal Carolina region. FredCo will assist your business in whatever phase it needs. We will work with new businesses, setting up their accounting system from scratch. Or we can come in at any point to provide accounting management services and support; from providing Payroll services, Accounts Payable and Accounts Receivable Management as well as periodic review of your accounting data. FredCo also offers your business one-on-one QuickBooks training for your accounting staff. FredCo Accounting Solutions is fully bonded and insured and works with all types of businesses, from one person home based businesses to multi-employee small businesses. Contact us today at 919-569-5936 for a complimentary 1 hour consultation.